The ESE 3 Keyhole is a compact work machine that impresses with a high level of technology, expertise and practical solutions. In addition to the standard equipment with a single fan and a telescopic hose carrier with 3.10 m operating range, development was focussed primarily on the optionally available auxiliary tool circle cutter. With this compact work machine, you are able to create a Keyhole fast, effectively and economically. 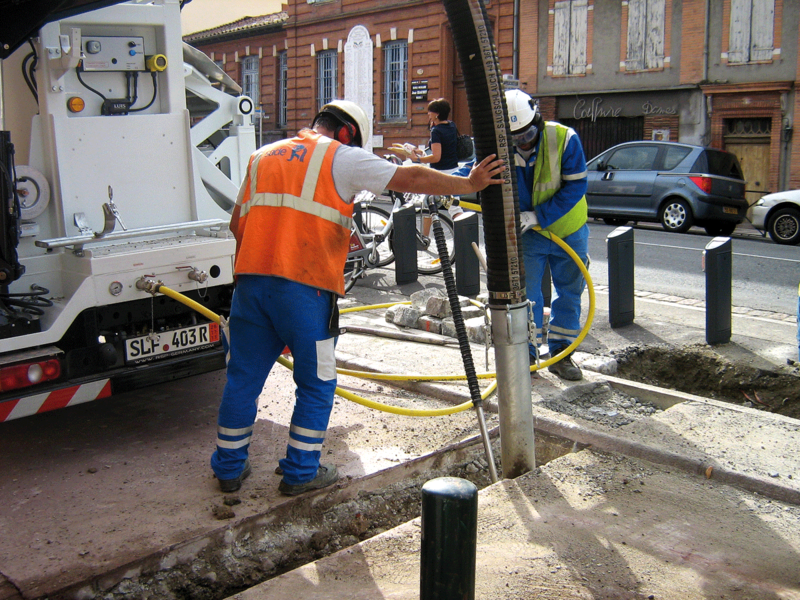 You have all the required tools, such as a compressor or water system, on one vehicle. The side-tipping collecting tank with a capacity of 1.1 m³ enables the excavated material to be emptied straight into a BigBag. 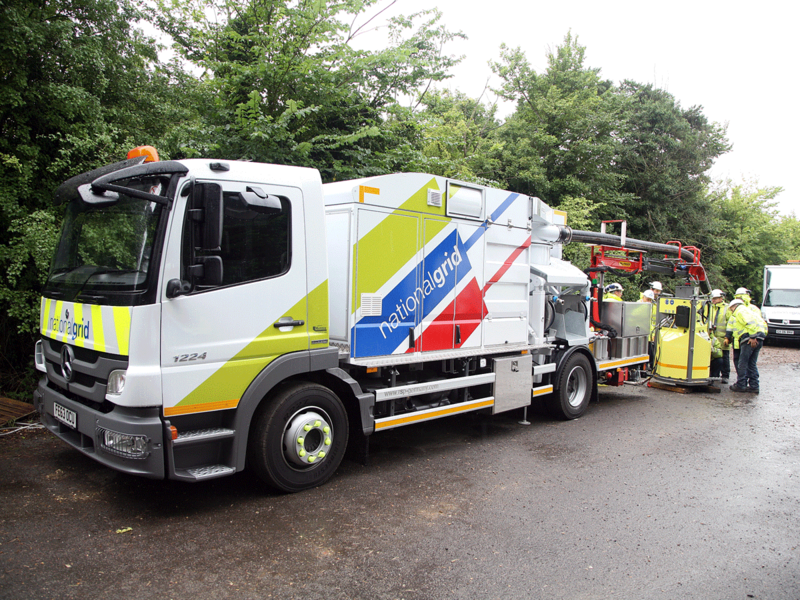 The Atego from Mercedes Benz has been chosen as the preferred transport vehicle because of its excellent payload capacity. The gross weight in the laden state is approx. 12,000 kg depending on the material. All the power is supplied by the vehicle engine. This uses an intermediate gearbox to drive the flange-mounted hydraulic pumps. 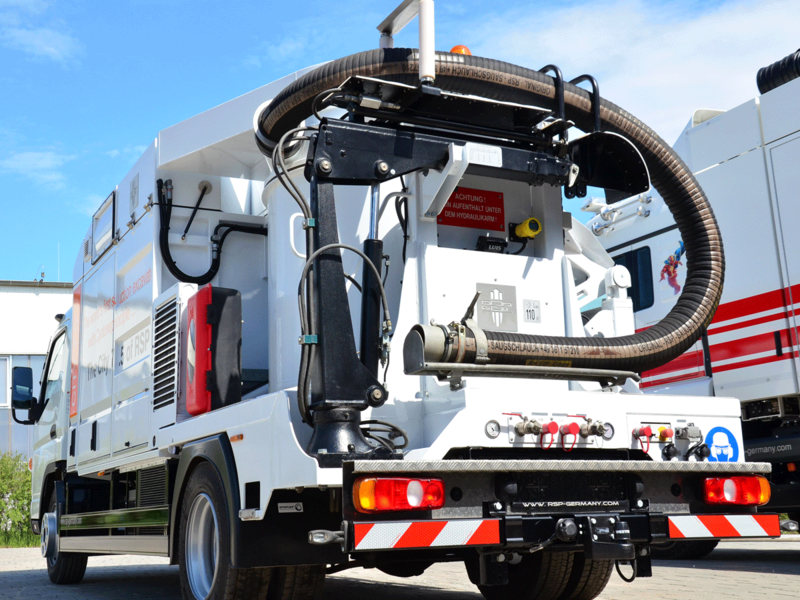 The single high performance fan, the on-board compressor and all other moving and emptying functions are supplied by this. 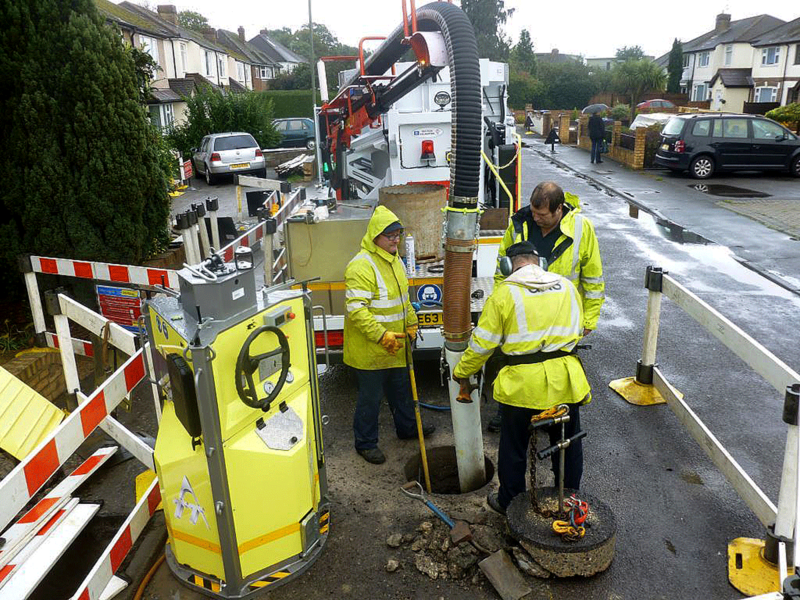 The ESE 3 Keyhole is a compact work machine that impresses with a high level of technology, expertise and practical solutions. 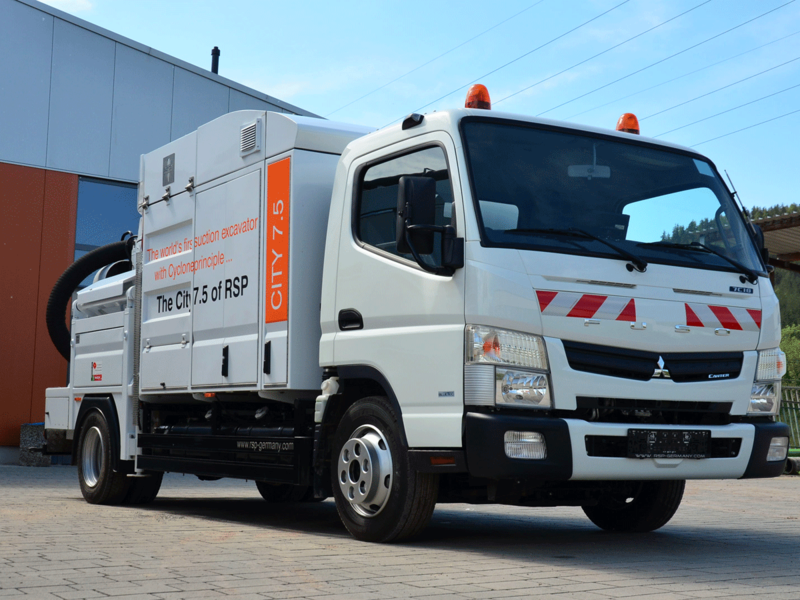 The RSP ESE 3 is ideal for use where excavations are carried out on pavements, narrow streets and market squares in the town centre. With its low unladen weight, it can even be driven in pedestrian zones without causing damage. 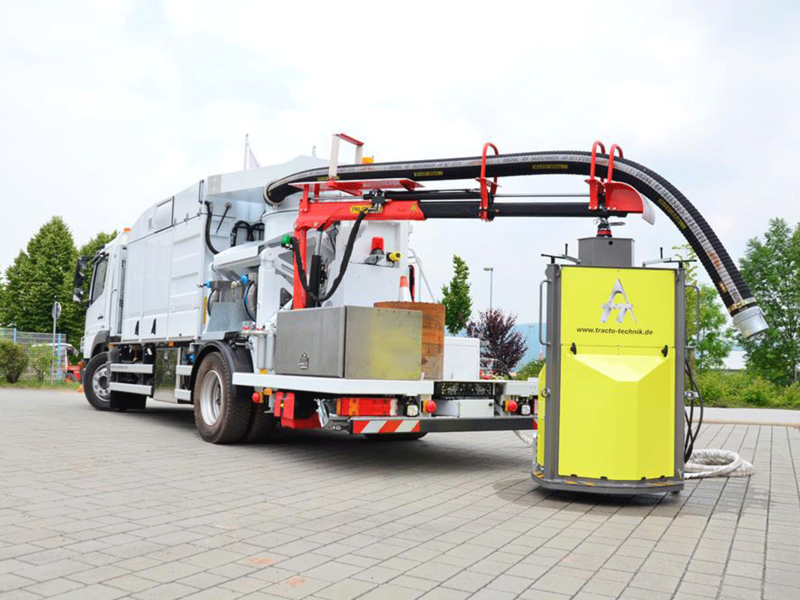 It is the first fan-based suction excavator worldwide with a gross weight below 12,000 kg.